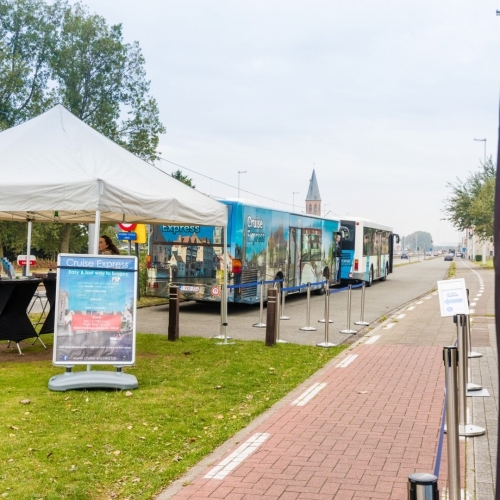 As you disembark in the port of Zeebruges, you can take the 'free port shuttle' (red bus) which will take you to the exit gate. From there it's just a little walk to our buses. Cruise ships normally moore at the Zweedse Kaai. Follow instructions below to find us.